Superb BaK4 fully coated prism glass offers high resolution. Gold tinted optics protect against UV rays, whilst giving more neutral colour balance in bright and hazy conditions. Long eyepiece relief helps short sighted and spectacle users get the most from their binoculars. 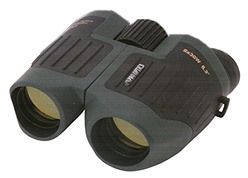 This medium size binocular is ideal for the more serious user.